In Greece it is a tradition to use Kalamata olives as a Greek meze. 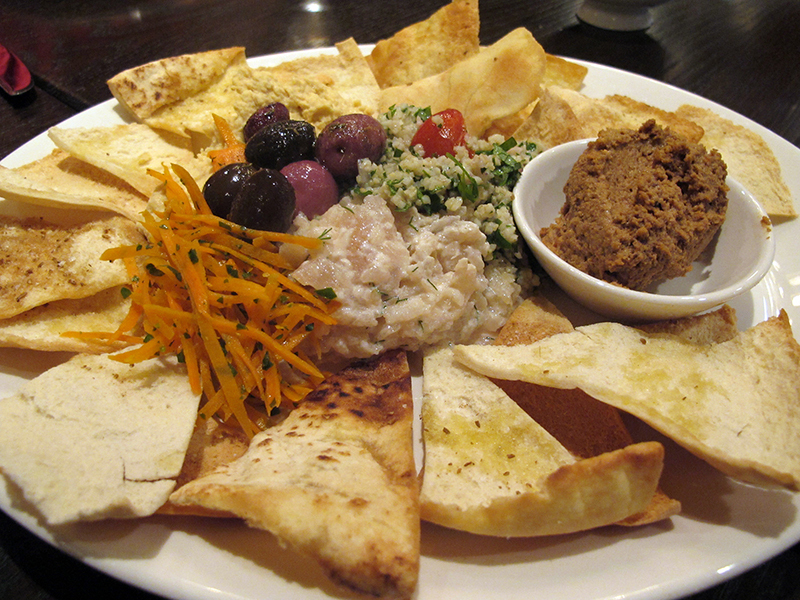 A meze is not a meal course like an appetizer, but rather a dish that may be hot or cold, savory or spicy and often salty. It is served alone or with other mezethes as a separate eating experience. There are a couple purposes of the meze; it provides the setting for a social gathering, and most importantly to enhance and compliment the taste of a drink, whether it’s ouzo, wine or raki. It is very common for family or friends to gather for some mezethes where they can enjoy several of these delicious dishes over a drink and conversation. The mezethes are shared by all at the table, provide a pleasant variety of flavors, and contribute to a cheerful, almost noisy ambiance, which Greeks are known for. Mezethes are great choices for buffet meals and parties. A bowl of Kalamata olives served with cheese, wine and sliced meats are sure to please. Drizzling olive oil and wild Greek oregano over the olives adds a nice finishing touch. They are a great addition to compliment hors d’oeuvres or vegetable platters.